Every year the question arises: How can I get my poinsettia to bloom again. And I wonder why? For the price of a bland burger, greasy fries and sugary soda, you can buy a spectacular plant. No work needed. Best of all, a fresh poinsettia isn’t fattening or artery clogging. Please take note, I use this only as illustration. 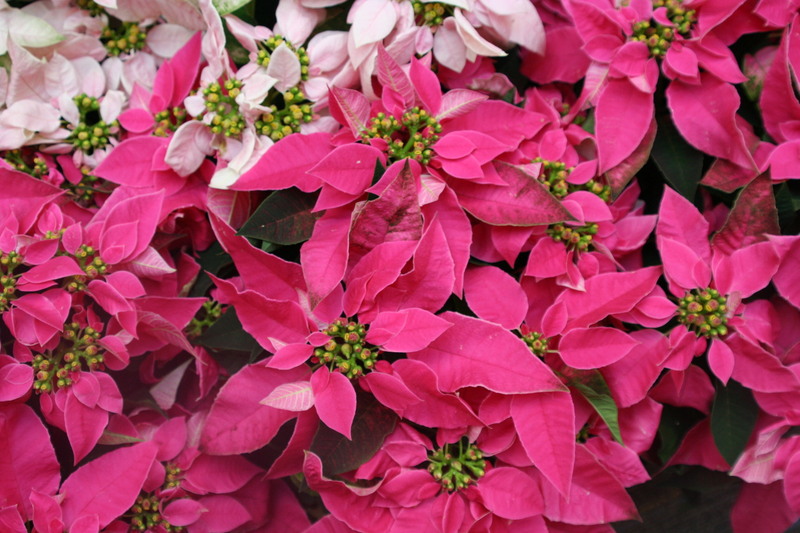 Poinsettias, like many beautiful plants, aren’t meant for eating. A good rule of thumb on edible plants: If you can’t find a recipe in a reliable source, don’t eat them. Even experienced mushrooms hunters make mistakes, occasionally fatal. But back to cultivating poinsettias. 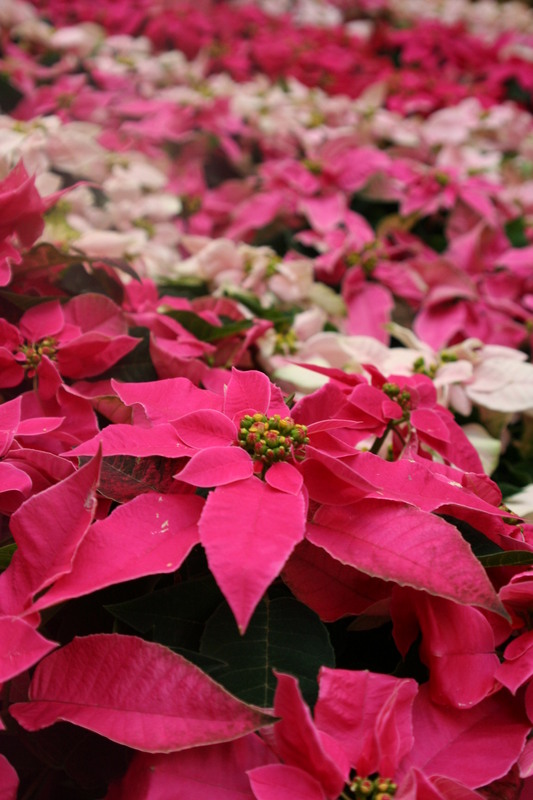 After flowers fade, about Mother’s Day, poinsettias will add valuable material to the compost pile. Can’t say that about fast food. Yet people are compelled to nurture a poinsettia for the ages. You don’t and here’s why. Brain surgery is only slightly more demanding than tricking a poinsettia into flowering. The process is best left to greenhouse growers and masochistic amateurs. Should you succeed, you’ll probably be disappointed. I was. So are other gardeners I know who did the voodoo only to find the results less than enchanting. After weeks of moving the plant in and out of the dark for the prescribed periods to produce the bracts, those colorful leaves we think of as flowers, flecks of red began to appear. Just barely. Instead of eye-popping red blooms at Christmas, I had diminutive flowers all out of scale with the lush greenery. Instead of putting it on display, I relegated the plant to the compost pile. Next I bought a brilliant example of commercial greenhouse magic to enliven the season. This season, join the handcrafted craze and give gardening gifts that are more from the heart than the wallet. 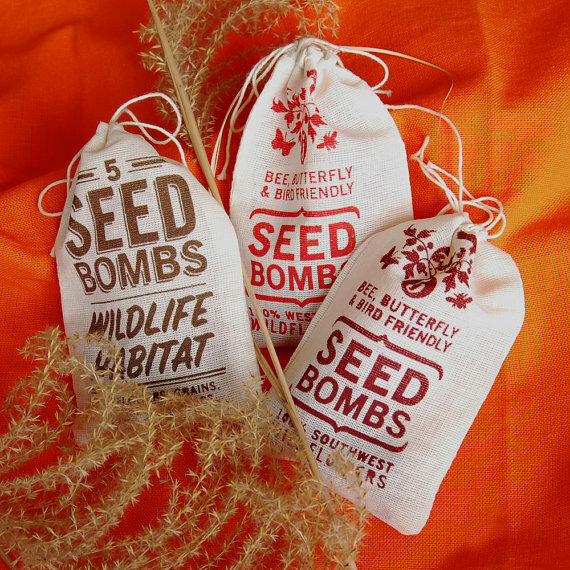 Try seed bombs in a hand-printed bag by a Cincinnati print shop. Dress up old clay pots with DIY gilding. 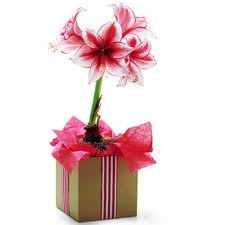 Pot amaryllis or paperwhite bulbs for a home-grown present. 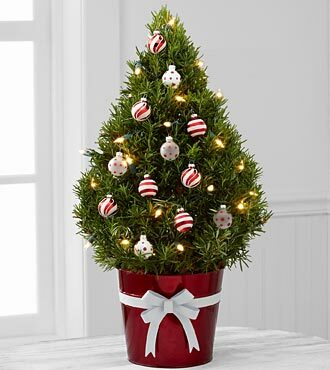 Decorate a store-bought rosemary tree. Create gift baskets of local treats like jams, honey and maple syrup. 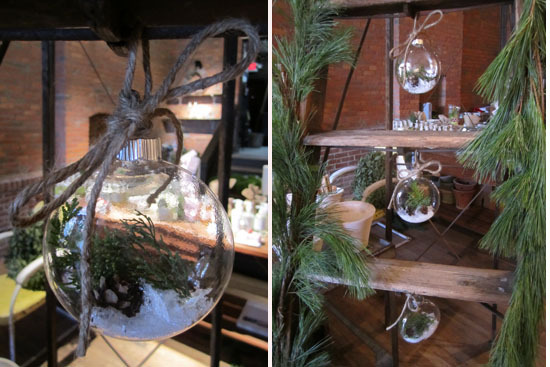 Or make ornaments from backyard cuttings. 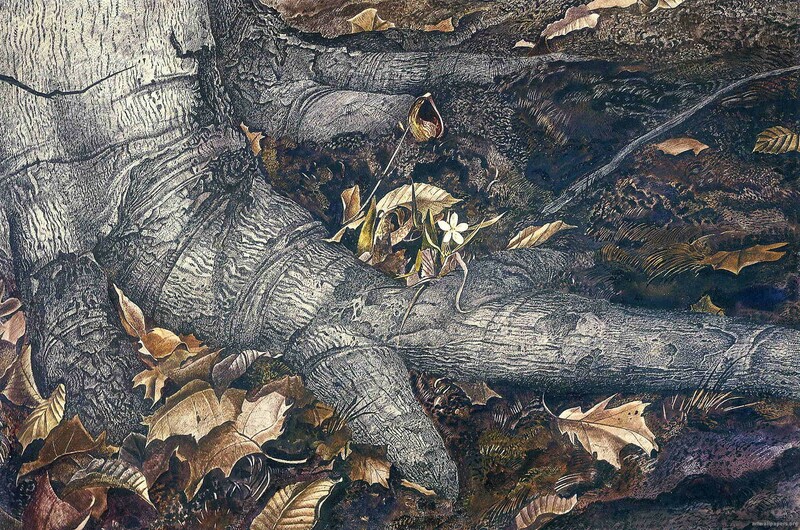 Artist Andrew Wyeth may not have been a gardener, but his poetic painting reminds me of the beauty of fallen leaves and the valuable role they play in protecting plants in winter, conserving moisture in the ground, keeping soil cool and returning rich humus and nutrients to the soil as they decompose. After years of raking big sycamore leaves in my backyard as a kid, I was glad to learn later from a gardening friend, Jane Rogers, that my woodland wildflowers are better off if I don’t rake the leaves. Additionally, plantsman David Voyles, showed me the results of using leaf mulch (“gardener’s gold”) in my vegetable garden. When I was first establishing the garden, we would order leaf mulch from a mulch supplier, but now I beg my neighbors to deliver a load of shredded leaves that they vacuum from their wooded lawn. I cover the vegetable beds with the leaf mulch and by spring they’re ready to turn into the soil. So remember Wyeth’s promise of spring as you crunch through the leaves this season. Energy-Wise Landscape Design: a New Approach for your Home and Garden – Sue Reed, New Society Publishers, BC, Canada, 2010. Sustainability, conserving energy and organic are the buzzwords of our time. And many claims of new techniques and products follow as communicators – writers, marketers, etc. – rush to support these concepts. While I am skeptical about claims of new approaches, I do appreciate constructive, concrete information on being energy-wise. If you are creating your first garden or are reworking what you have, this book can guide your every step from designing a landscape to constructing it. All along the continuum of garden construction to garden maintenance, Sue Reed offers solid advice for the big picture such as constructing new home sites; and for the details such as construction hints, new products, water use, lighting the landscape and more. There are numerous sidebars that explain underlying concepts that are sometimes “black holes” in a gardener’s understanding of the many aspects of gardening and garden-making. I have other books that contain this information, but the focus of this book is loud and clear. You need to attend to the energy aspect of your home and garden. It not only conserves the world’s resources, it’s just plain, good sense. What a Plant Knows: a Field Guide for the Senses – Daniel Chamovitz, Scientific American/Farrar, Straus and Giroux, NY, 2012. I am teaching a new course – for me – at Columbus State Community College. Its official title is Plant Sciences, but I have told my students that it is 15 weeks of: how do plants survive while rooted in one place and why do they die? As I was collecting material for the course, I found Daniel Chamovitz’s book: What a Plant Knows, and began a delightful journey into plant physiology from a different point-of-view. Chamovitz draws parallels between plant and human senses which is emphasized by the names of the chapters: What a Plant Sees, What a Plant Smells, What a Plant Feels, How a Plant Knows Where It Is, and so forth. He states that he is not saying that plants experience the world as humans do; plants are not “just like us”. But, by using a framework of the animal senses we are challenged to think of seeing, hearing, feeling, smelling and proprioception -where we are in space- in a different way. A way that may allow us to understand ourselves … in a different way. I had a lot of “oh, wow” moments as my understanding of plants and their processes shifted with the author’s premise. It is a slim volume, but it took me time to read the text and follow up with the chapter notes. The references are varied and numerous and I plan to look up quite a few. This book may not be everyone’s idea of a good read, but I found it fascinating. Hope you will give it a try. Debra Knapke "The Garden Sage"